Working with the most advanced equipment and specialised products Advanced Beauty offers a treatment solution for every skincare concern. We currently offer three skincare ranges to ensure consistent success in our objective. We use the Environ Ionzyme Machine with all of our Environ facials causing products to penetrate 4000x deeper and obtaining results that would take 300 manual hours to achieve. A well-deserved pause to give your skin its vitamins, restore your energy & help you quickly rediscover a restful look. For clean skin and a radiant complexion, this treatment includes 5 successive, very gentle cleansing steps. Perfect solution for oily skin, blackheads and developing spots! This gentle and deep pore cleansing facial will balance teen or breakout prone skin. This high performance, deep hydrating facial will revive the most dehydrated complexions. Luxuriate in the warmth of healing hands while your skin is bathed in a moisture surge of oils, creams and elixirs. Sheer bliss! A "personal trainer" for the skin. Every part of this miracle treatment encourages flawless, ageless skin and perfect tone. 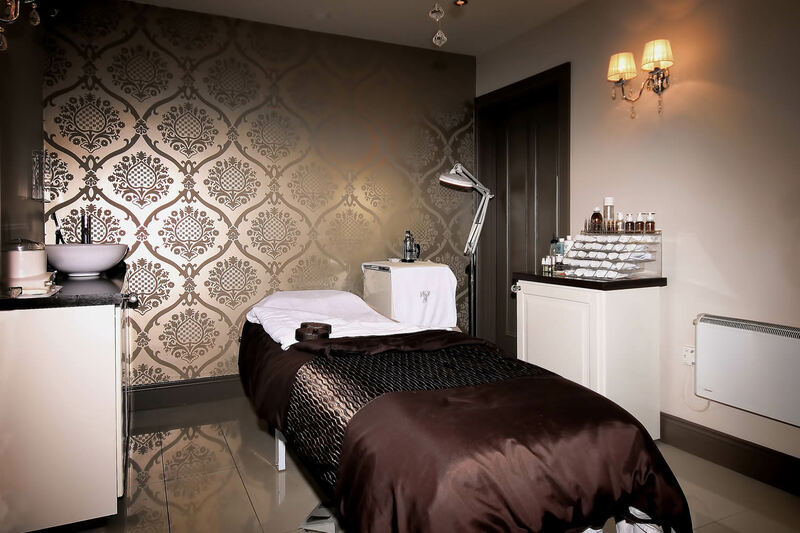 The treatment involves collagen & elastin & leaves facial contours "lifted & firmed". Firming, Brightening, Hydrating Mature skin will come alive thanks to this luscious treatment which fights off wrinkles, loss of firmness, dark spots, dullness & dryness. DF ionzyme machine used in 90min treatment creating 3300 times more penetration of products topically applied. This anti-fatigue aromatic treatment clears the complexion and promotes robust tone radiance). Inhibit the spots, increase the confidence. An ideal teen facial or mild preventative acne-formation treatment. An anti-aging, redness diffusing active facial. This must have pre-event hybrid facial strikes the balance between a gentle peel and therapeutic facial - adored by brides worldwide. Replenish what your lifestyle diminishes. The facial that does it all - cleansing and invigorating vitamin infused treatment will tighten, lighten, brighten, nourish and hydrate. Pay attention to the region that was once forgotten. Guaranted to target pigmentation, wrinkles and lax skin. Step one in the fight against acne. Expect clean, oil free healthy skin. Step two in the fight against acne, amazing! An anti-redness, anti-inflammatory, anti-pigment, collagen creating, rosacea suited, all round award winning peel. A cocktail of brightening agents, reduces sun damage, brown spots & redness caused by rosacea. Say hello to a lighter, brighter you! Peel away the years with this ultra resurfacing glycolic and retinol treatment. Aging doesn't stop at the face so why should your treatments? This results orientated treatment leaves skin tightened, toned & ready for that daring neckline. Step up programme for experienced peelers. Discuss with your skin specialist. Packed with nourishing, anti-ageing ingredients, the Active Vitamin Treatment will leave your skin looking radiant and dewy. The freshest, most active forms of Vitamin A, C and Anti-Oxidants are driven deep into the lower layers of the skin using soundwaves and small electrical pulses. This scientific approach stimulates Collagen to soften lines and improve elasticity, increase hydration and boost radiance. The Active Vitamin Treatment is suitable for all skin types and is particularly effective at addressing sun-damged, pigmentation, premature ageing, dryness, uneven skin tone and scarring with measurable differences after just one session. Collagen Power FacialThe treatment uses gentle soundwaves to drive a special nutrientpacked serum deep into the lower layers of the skin. The formula contains a unique combination of three peptide complexes* which work in synergy to give skin a plumper, more radiant appearance.